This is one of our most important resources throughout the year. It contains information on who to contact, when to contact them and how to get your book published. The Writers' & Artists' Yearbook 2017 has a huge number of useful articles written by authors such as Clare Mackintosh, publishers including Neil Astley from Bloodaxe Books and advice on self-publishing from Alison Baverstock. If you are also looking for advice on publishing agreements and copyright law, then this book is ideal. There are over 4,000 up-to-date listings on who to contact in the industry no matter what stage of writing or publishing you are at. With a foreword by Francis Hardinge, this guide has all the information writers and illustrators of children's books will ever need. There are 70+ articles on how to get published, industry trends, publishing contracts, illustration portfolios, self-publishing and much more. 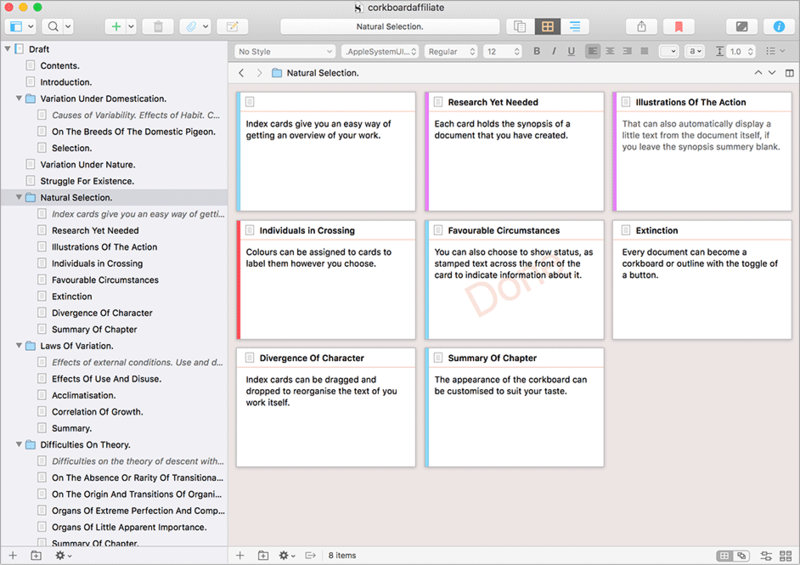 If you haven't yet discovered Scrivener, it is one of our favourite pieces of writing software out there. Whether you are a plotter or a pantster Scrivener is the perfect tool for helping you to organise your story beats, fully develop your characters, perfect your locations and nail your synopsis, tag line and elevator pitch. If you are one of those writers who works on index cards - life just became so much easier with a corkboard, notes and index cards that can be rearranged in any order and changed around as many times as you need. The outliner helps to organise your chapters, establish your story beats fall in the right place and make it easy to track your moments of conflict, resolution and scene setting. We are loving Scrivener so much we are using it for our articles, our fiction and non-fiction writing projects and can't recommend it enough. A new app has just been launched making it easy to keep track of all of your documents on your laptop, iphone and ipad. If you are looking for a clear guide to spelling, capitalisation, hyphenation including cultural references, a guide to historical context and much more then this is the dictionary for you. This is an essential tool for anyone who works with words on a day to day basis. It is hardback, but it is just the right size to carry around with you. An Amazon bestseller and one of the best A-Zs on grammar and punctuation with 300 entries for standard grammatical terms that you thought you knew about but maybe need to revisit. Various versions of this reference book have been with us for as long as we can remember. This really is the definitive guide to all aspects of writing and getting your copy ready for publication - whether you are self-publishing or submitting to an agent. This book has been around for over 100 years and the latest version draws on the resources of Oxford Dictionaries for reference. In this edition you will find information on punctuation, hyphenation, layout, headings, illustrations, how to tackle bibliographies, footnotes and much more. For everything technical - this is your absolute go-to reference. An incredibly insightful book - part memoir and part writing masterclass on how one of the bestselling authors of all time achieved success, including his struggles and emergence as a writer and tips for wanabe novelists. Ernest Hemingway's reflections on the nature of writing and of the writer and the writer's life. Hemingway also offers some insightful tips on the craft of writing, work habits and discipline.